Thank you all for your kind words regarding the photo/video slideshow from the reunion! It was a privelege to be involved, and I'm so glad I have something to give back to both the school, and all of you who were so welcoming of me when I moved to Pearcy in 1985 to join your school family. Friday 6/8, 6:00 pm - 8:00 pm Pre-Reunion Meet-up Fun! 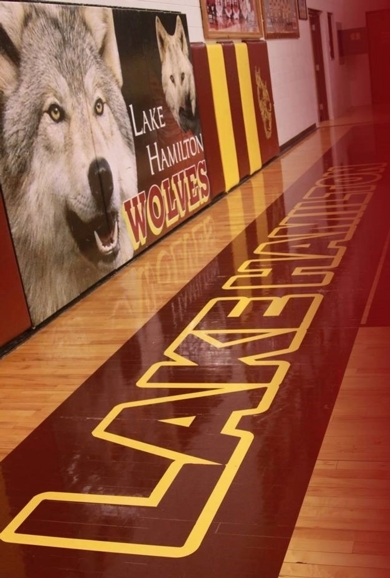 Saturday 6/9, 10:00 am LHHS & Wolf Arena Tour. Meet in the alumni room. Saturday 6/9, 6:00 pm -11:00 pm REUNION TIME! Welcome class of 1988 Wolf Pack! We are so glad you are here and taking the time to check out our new class page. This page will serve to communicate information about fellow classmates, updates/changes to the Lake Hamilton campus, help you reunite with classmates, and provide information about reunions. Check out the "Missing Classmates" link to the left of the page and let us know if you know the location of any missing classmates. We really would like to see as many fellow wolf pack members as possible, but realize circumstances might be difficult. If you're able to help out a fellow classmate, please click the "Donation" link. We hope you enjoy browsing through our class page, and looking forward to looking back! and we give thee all of our praise. We will cheer her on forever. Oh, let our voices ring true. *Written in 1958 by Mrs. Wanda Harmon Tillery (1941-2003), LHHS Class of 1959.